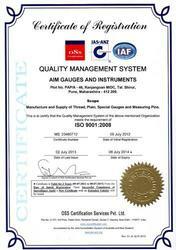 Known as one of the leading manufacturer & exporter of a wide range of high quality gauges and fixtures, we, Aim Gauges And Instruments, Pune, ISO Certified 9001:2008, were established in 2011. 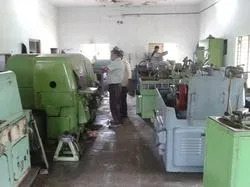 The offered range of products involves Thread Gauges, Thread Ring Gauges, and Plug Gauges. These products are manufactured using advanced technology and high tech machines, to ensure the standards of quality that we provide. These products are known for their resistance to heat, resistance to wear and tear, compact design, mechanical strength, and dimensional accuracy. These products manufactured by us are all provided by us to our clients at a market leading rate. Due to our wide range, we have attained a huge clientele from all across the globe. 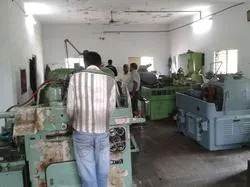 Our manufacturing process is monitored by our team of highly trained and experienced quality analysts, who quite efficiently eliminate any manufacturing defects. Our state-of-the-art infrastructure is equipped with several highly advanced machines and amenities that give a boost to our production, improves quality testing, and enhances research and development. We are guided by our proprietor Mr. Satish Patil, who has a vast experience in this domain, and helps us understand the ever changing market trends. His guidance and suggestions have not only helped us to enhance our technical skills but also ensures personal development.